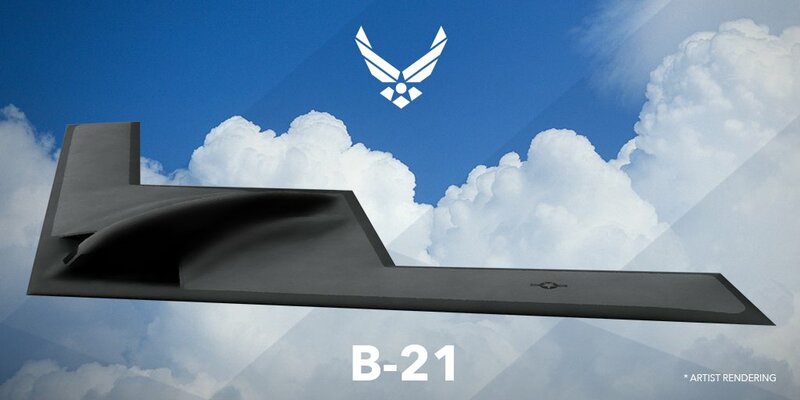 Although the initial stages of development of B-21 Raider is being conducted at Northrop’s S-4 Facility at Air Force Plant 42 in Palmdale, California, the second half of the development and testing will likely be scheduled at Area 51 in Nevada. This includes both the unmanned and manned versions (according to a source). 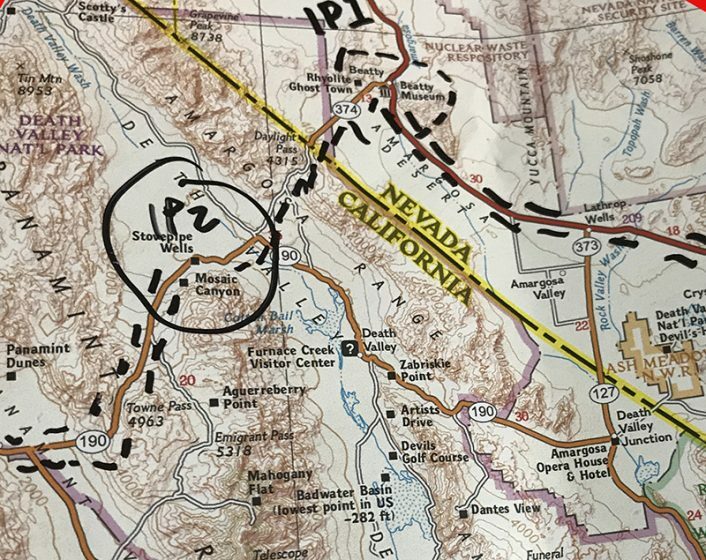 “We’re not sure what is happening inside (and close to) the restricted Nevada Test and Training Range (NTTR), but after visiting the area earlier this month, we are reasonably certain something significant is taking place right now. The massive area, reported to be 4,531 square miles, is one of the most secure national security sites and is closed to the public. Earlier this month we drove the remote roads along the perimeter of the NTTR between Las Vegas, Nevada and Beatty, Nevada on the way to and from the Jedi Transition low-level flying area in Death Valley National Park. While this is one of the emptiest, most barren stretches of paved highway in the U.S. in just a few hours we made a number of interesting observations. Sometime after 3:00 AM across from Creech Air Force Base we saw a military-aged male with a beard in civilian clothes and a medium-sized piece of luggage or large lunch box board an airport-style shuttle bus and drive away on Highway 95 west of Creech. The vehicle drove a significant distance west and north on the highway before we lost sight of it. There is almost nothing out there. On the trip back that night we saw an F-117 fuselage covered by a tarp being transported on a flatbed truck in the dark west-bound on Highway 95. Earlier in the day someone had gotten photos of it by the side of the road. In less than 24 hours, on one stretch of road at the outskirts of a massive 4,000+ mile testing range, we saw that much activity. The patches suggest the crew are associated with the famous “Red Hats” opposing forces test unit and the 53rd TEG Det 3, the unit thought to have replaced the 4477th “Red Eagles”, another opposing force simulation and testing unit. Separate and additionally from those sightings near or around Tonopah Test Range, journalist Tyler Rogoway at The War Zone, has been a keen observer of the Nevada Test and Training Range. 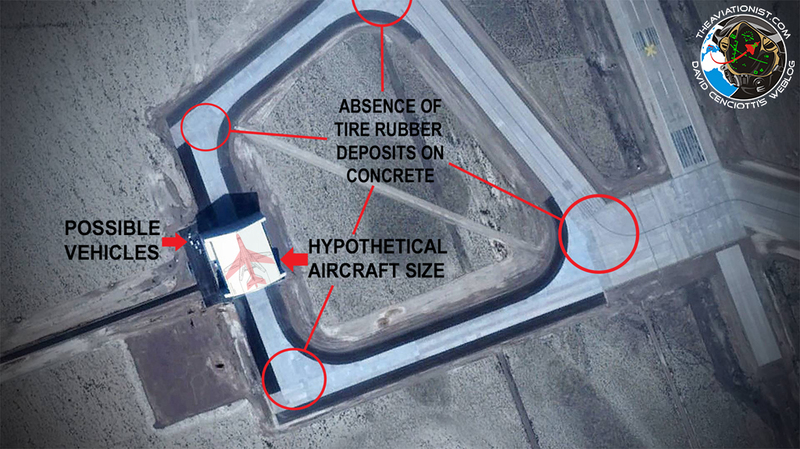 Rogoway reported on the appearance of several new construction projects at Area 51, notably, a new “U” shaped taxiway, vehicle roadway and most interestingly, a large aircraft hangar. In 2001-2002 an intermediate vehicle road connecting taxiways and runways was built. And most recently, in 2013, a major new construction project began at the southwest corner of the area. Soon after, in July 2014, the U.S. Air Force issued a request for proposal for a new, long range, low-observable strike aircraft. The project became the LRS-B (Long Range Strike Bomber). From 2014 to 2016 a large, new hangar was built at the southwestern corner of the facility. The structure appears to be nearly large enough to house an aircraft the size of the current B-1B Lancer bomber. The latest satellite photos show what appears to be new engine test facilities, and most significantly, the southern taxiways and hangar in new-looking condition. Comparing the satellite photos of the facility going back to 1984, the two most significant, visible expansions are the second runway in 1990 and the new southwest square taxiway and hangar building beginning in 2014. An analysis of satellite images over time reveal the major construction projects at Area 51/Groom Lake since 1984 including the most recent hangar and taxiways. 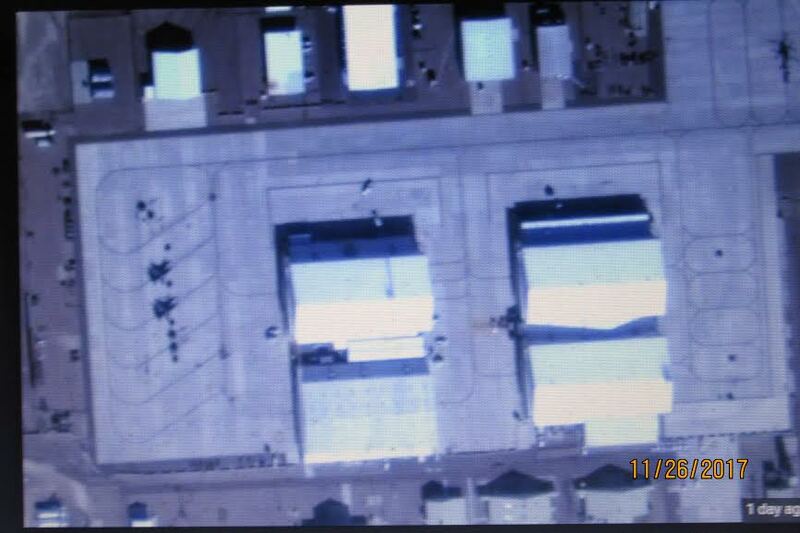 “In the general Groom Lake image our best reference is one of the F-16s parked on the west side of the base. The F-16 length is approximately 50-feet. Building number one, which is almost directly west of the F-16s is approximately 120’x120’. It looks to be an engine test/run-up hangar. The building that is more interesting is approximately 250-feet wide by a length of 275-feet. Is what we are seeing evidence of the LRS-B program development and the B-21 Raider? While there are likely several other major developmental programs underway including a new manned or unmanned reconnaissance and strike platform (the RQ-180 spy drone is one of them), LRS-B and B-21 are the most mature and most talked about in official channels and, as a result, most conclusions point to something related to their development out at Area 51 in the new hangar. Prior to her departure from the office, former Air Force Secretary Deborah James told media, “Our 5th generation global precision attack platform will give our country a networked sensor shooter capability enabling us to hold targets at risk anywhere in the world in a way that our adversaries have never seen.” Her comments about the LRS-B program and B-21 acknowledge both the capability and necessity of the program, and may suggest the urgency of it as the Air Force maintains its small fleet of B-2 Spirit low-observable long range strike aircraft against a growing demand for its unique capability. “On November 14, 2017 (the day after an F-117 was photographed on a trailer south of Creech Air Force Base) at 09.20 AM LT, another F-117 was spotted flying north of Rachel, Nevada. The stealth jet was not flying alone (or close to another F-117 as happened, for instance, in 2016) but it was chased by a two-seater F-16. California’s STAR WARS CANYON (“The Jedi Transition“) has definitely become America’s plane spotting jewel. 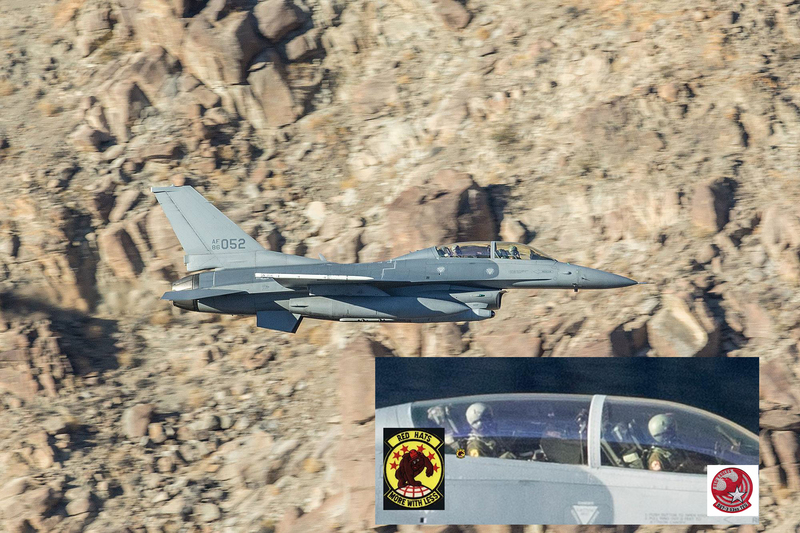 “Located in the western United States on the edge of the Death Valley and the southern outskirts of Nellis Range, home of Area 51, it is America’s best place to see combat aircraft training for their dangerous low-level infiltration role. The Air Force Research Laboratory is forging ahead with a high-energy laser designed to shoot down drones, incoming rockets and mortar rounds and hopes to have a demonstration model ready by 2021, officials say. The Self-protect High Energy Laser Demonstrator program, or SHiELD, which launched this year, seeks to equip supersonic warplanes, such as the B-1 Lancer, F-35 Lightning and F-22 Raptor, with defensive lasers mounted in external pods. The Air Force wants a high-energy laser system compact enough to complement the internal cannon and missiles equipped on its fighter jets. The new system uses a type of optical fiber as the light-emitting material, instead of the neodymium-doped crystals used in conventional solid-state lasers. Since fiber can be coiled, more power can be packed into a compact system. “We have shown that a powerful directed energy laser is now sufficiently light-weight, low volume and reliable enough to be deployed on tactical vehicles for defensive applications on land, at sea and in the air,” Lockheed Martin laser weapons expert Robert Afzal said in a statement. The electric-powered laser is a significant departure from the chemical laser found in the defunct Boeing YAL-1A airborne laser test bed. The YAL-1A was scrapped after 16 years of development in 2011 after Defense Secretary Robert Gates told Congress it was too costly and not nearly powerful enough to shoot down a ballistic missile. The SHiELD program includes a beam control system to direct the laser onto a target, a housing pod mounted on the fighter jet to power and cool the laser and the high-energy laser source itself. Lockheed Martin also recently demonstrated a laser capable of being based on the ground or at sea for the military. In September, the company demonstrated its Advanced Test High Energy Asset, or ATHENA, in tests run by the Army’s Space and Missile Defense Command at White Sands Missile Range, New Mexico.. The laser brought down five Outlaw drones. “The tests at White Sands against aerial targets validated our lethality models and replicated the results we’ve seen against static targets at our own test range,” Keoki Jackson, Lockheed Martin’s chief technology officer, said in a statement in September. The Air Force Research Laboratory’s Directed Energy Directorate is based at Kirtland Air Force Base in Albuquerque, New Mexico. Although there is no credible documentary evidence whatsoever of the existence of NASA’s Project Blue Beam, it has been a popular conspiracy theory (some people call this the ultimate conspiracy) since around 1994 when it was first introduced by a Canadian journalist by the name of Serge Monast. 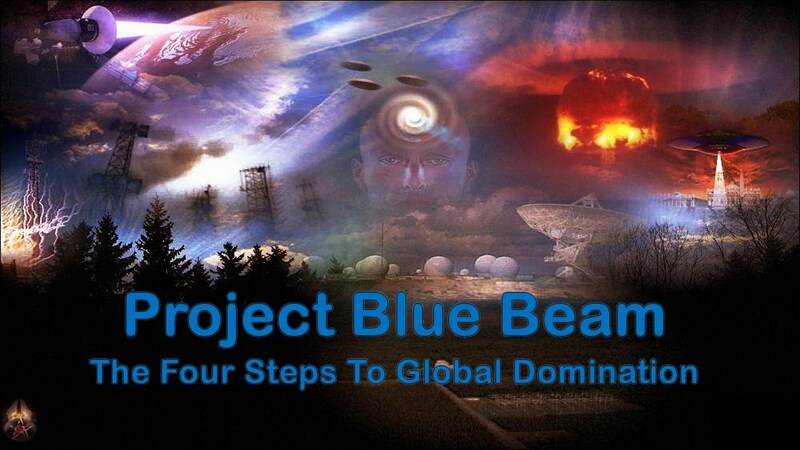 The alleged Project Blue Beam claims that in the far future NASA will attempt to implement a New Age religion with the Antichrist at its head to establish a New World Order (a.k.a., a One World Government, a Global Government, a Global Order), via a technologically-simulated Second Coming. My realistic view is that at this point in time, we do not have enough sophisticated technologies yet to implement this alleged program. It would probably take another 25 to 30 years before we will have all those technologies to orchestrate a global, simultaneous event as the one described in this conspiracy. By the way, proponents of this theory allege that Monast and another unnamed journalist, who both died of heart attacks in 1996, were in fact assassinated, and that the Canadian government kidnapped Monast’s daughter in an effort to dissuade him from investigating Project Blue Beam. (On a personal level, for a short time I had the honor of corresponding with Serge Monast in 1993 and 1994. This requires the breakdown of all archaeological knowledge. This will apparently be accomplished by faking earthquakes at precise locations around the planet. 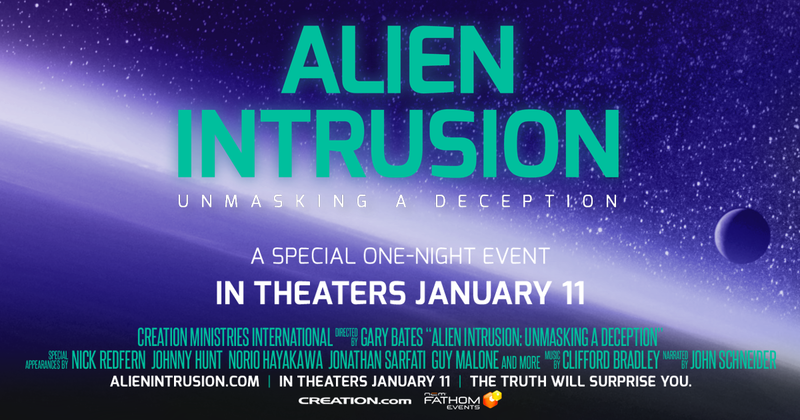 Fake “new discoveries” at these locations “will finally explain to all people the error of all fundamental religious doctrines”, specifically Christian and Muslim doctrines. This involves a gigantic “space show” wherein three-dimensional holographic laser projections will be beamed all over the planet — and this is where Blue Beam really takes off. The projections will take the shape of whatever deity is most predominant, and will speak in all languages. At the end of this light show, the gods will all merge into one god, the Antichrist. This is “Telepathic Electronic Two-Way Communication.” It involves making people think their god is speaking to them through telepathy, projected into the head of each person individually using extreme low frequency radio waves. Watashi no tomodachi wa Supeingo no sensei desu. Mary Smith-san wa bengoshi dewa arimasen. (Mary Smith is not a lawyer). Kono basho wa mukashi eigakan deshita. Watashi wa ima gakkou e ikimasu. Watashi wa ashita gakkou e ikimasu. 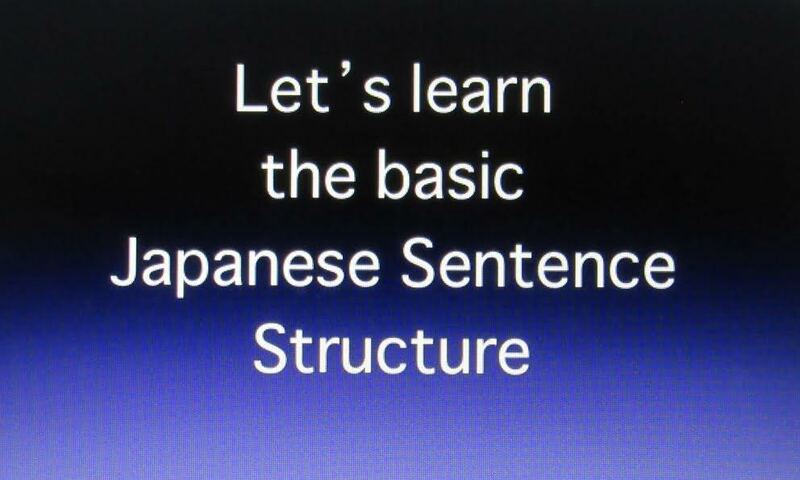 In order to form the past tense of polite forms of Japanese verbs, all you have to do is remove the final su of the verb and replace with shita. Watashitachi wa kinou Yokohama e ikimashita. (We went to Yokohama yesterday). In other words, the negative form of the verb is made simply by removing the su, and replacing with sen.
That’s enough for Lesson 3. The 442nd Regimental Combat Team was made up of Japanese-Americans, many of whom served when their families were imprisoned behind barbed wires. As Americans look back and honor service members across the country on Veterans Day, one unit’s work is largely left out of the mainstream conversation. 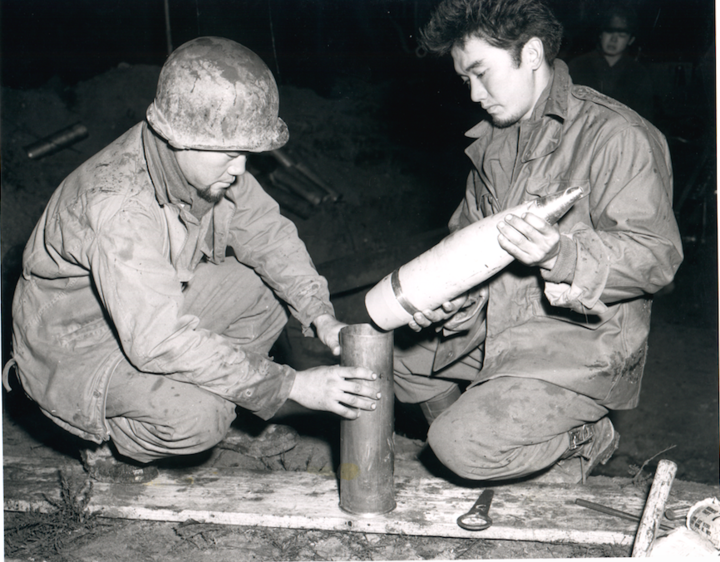 But the 442nd Regimental Combat Team’s contributions to the country are nothing short of remarkable. 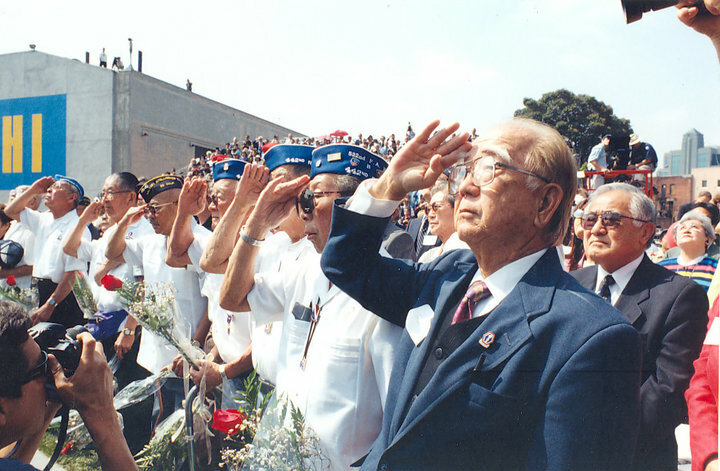 With the motto “Go for broke,” the unit was made up of Japanese-Americans who served the U.S. during World War II ― a time of rampant anti-Japanese sentiment. As many of their civilian loved ones were imprisoned behind barbed wire after the bombing of Pearl Harbor, the team accrued an impressive combat record, becoming the most decorated unit in U.S. military history for its size and length of service. And they did this all the while enduring racism and xenophobia at home, said Mitch Maki, president of Go For Broke National Education Center, which spreads awareness around the Japanese-American soldiers. “Many of them decided they were going to serve because they knew this was the only way to prove their loyalty and create a better place for themselves as well as for their families,” Maki told HuffPost. The 442nd RCT, which was formed on March 23, 1943, included mostly second-generation, or “Nisei,” soldiers, who were the children of Japanese immigrants. The unit included both draftees and volunteers, according to the nonprofit Densho, which preserves the history of Japanese-American incarceration during World War II. The 442nd’s formation marked a turning point in the U.S. military’s wartime policy. Following the bombing of Pearl Harbor, people of Japanese ancestry had actually been barred from service as “enemy aliens,” 4-C, by the U.S. War Department while xenophobic sentiment swept the country. “We kept asking, ‘What can we do? How do we change things?’ We were upset that we did not have a chance to prove our loyalty,” Nisei veteran Kenjiro Akune, who ended up being placed in Japanese-American intelligence unit, Military Intelligence Service, told HuffPost. According to Densho, the need for more soldiers and the lobbying efforts of the Japanese-American community and its supporters eventually swayed leaders’ views. The work of the 100th Battalion also played a significant part in altering opinions. 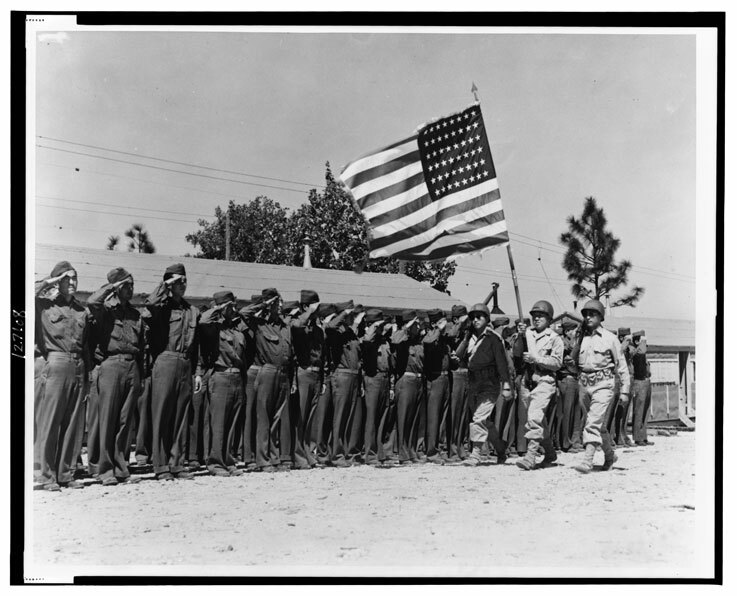 The battalion was made up of Japanese-Americans who had been part of the Hawaii National Guard at the time of the attack on Pearl Harbor, before Japanese-Americans were prohibited from service. 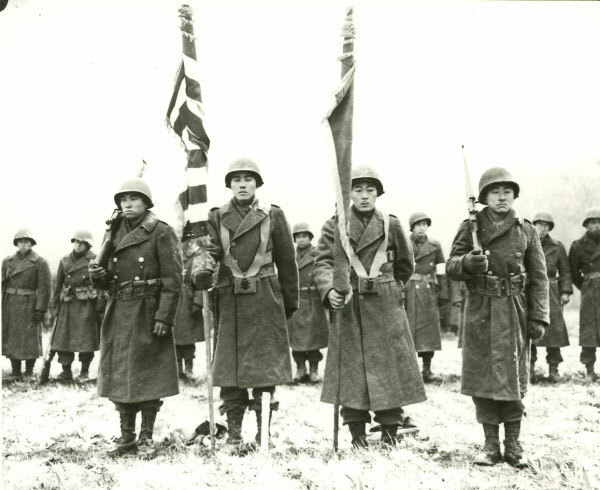 By law, the Nisei who were already members of the National Guard could not be forced out, and they eventually formed the 100th. This particular group of men developed such a stunning training record that it helped inspire leaders to reverse the exclusionary military service policy. “They basically changed the minds of military and political leaders who had banned the enlistment and drafting of Japanese-Americans after Pearl Harbor,” Pauline Yoshihashi, a spokeswoman for Go For Broke whose father is a veteran of the 442nd, told HuffPost. The 100th eventually merged with the 442nd, and in just over a year’s time, they proved to be an extraordinarily valuable team. The unit won seven Distinguished Unit Citations, presented to units who demonstrate exceptional heroism in action against an armed enemy. They also racked up 21 Medals of Honor, 4,000 Purple Hearts, 29 Distinguished Service Crosses, 588 Silver Stars and more than 4,000 Bronze Stars. The group’s immense contributions in the war include helping to liberate several towns, including Bruyeres and Biffontaine, France, as well as the sub-camps of the Nazi concentration camp Dachau. The Japanese-American soldiers took on incredible risks. In one particularly memorable engagement, the 442nd was ordered to rescue the “Lost Battalion,” white U.S. soldiers who were stranded on a ridge near Saint-Dié, France, attempting to withstand heavy enemy fire. Two other battalions had already failed to rescue the battalion, which was running low on food, water and supplies, according to Densho. The military decided to send in the 442nd. “They were given some of the assignments in which they knew they were cannon fodder. They knew that they would be suicide missions. The unspoken message was that they were expendable. The Nisei fought for six days, finally breaking through to the Lost Battalion and rescuing the 211 soldiers. But in the process, they sustained 800 casualties, Maki explained. When returning to life in the U.S., the soldiers continued to experience racism, despite their service to the country. In interview outtakes for PBS documentary “The War,” the late Sen. Daniel Inouye (D-Hawaii), who had earned several medals and distinctions for his service in the 442nd, recalled that he had attempted to get a haircut in a barbershop in Oakland, California. Dressed in uniform, Inouye entered a shop that had three empty chairs, he said. “And I thought to myself, here I am in uniform. Ainu Man – Ainu are the aboriginal people of Hokkaido, Japan’s most northern island. 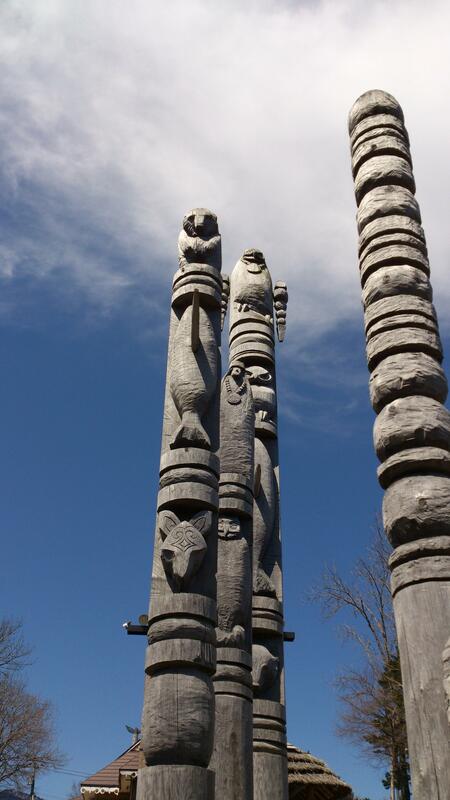 In the 20th century, Japanese anthropologists and officials tried to hide the existence of the indigenous Ainu people. Then the Ainu fought back like their cousins, the bears. For much of the 20th century, Japanese government officials and academics tried to hide the Ainu. They were an inconvenient culture at a time when the government was steadfastly creating a national myth of homogeneity. 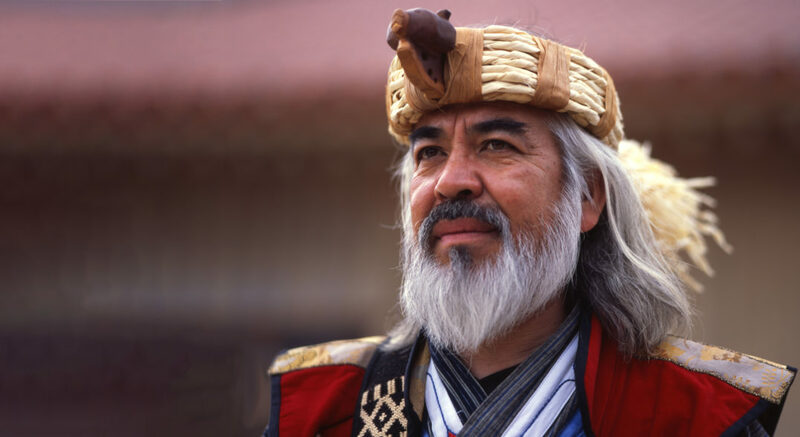 So officials tucked the Ainu into files marked “human migration mysteries”, or “aberrant hunter-gatherers of the modern age”, or “lost Caucasian race”, or “enigma”, or “dying race” or even “extinct”. 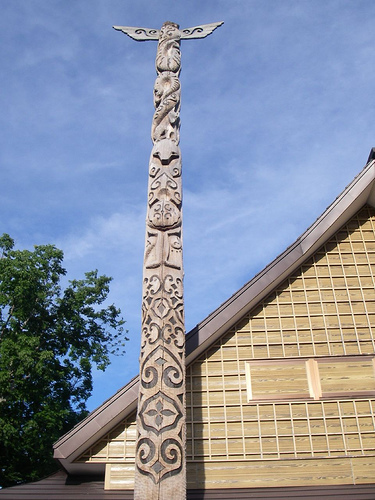 But in 2006, under international pressure, the government finally recognized the Ainu people as an indigenous population.